For those who are not familiar with this product, it is a paint that has revolutionized the world of decorative painting. This paint can be used on virtually any material with minimal preparation and can empower the most novice artist to create a masterpiece with ease. Whether you are looking for experts to refinish a treasured heirloom or you enjoy do-it-yourself projects, The Dandelion is the place for you. They offer custom refinishing and restoration and workshops to learn Chalk Paint™ techniques. They also sell home décor, painted furniture and gifts. The two owners are Wendy Nantais and Claudia Sylvestre. Nantais and Sylvestre became business partners in February of this year and moved to their current, larger location at 119 Lesperance Rd. in April. highlight clients that have recently opened their business. 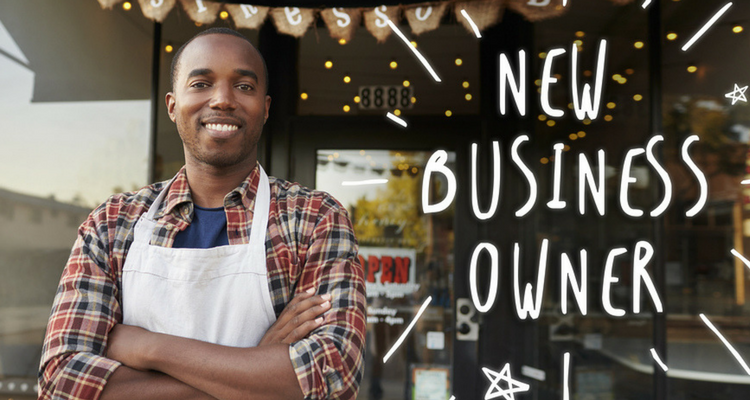 If you have started your small business recently (less than 6 months ago), or have recently moved your home-based business to a storefront, let us share your new venture with our audience of 4,000+ people! LEAP (Learning, Exploring, Applying, Progressing) offers one-on-one services for people with disabilities seeking support with life skills, and age targeted goals. Based out of Leamington, the goal for LEAP is to raise awareness and empower people with disabilities in Windsor-Essex. For more information, please contact Myriah at (519) 817-6460 or leapleamington@gmail.com. Congratulations to our Summer Company students for completing their training day in preparation for operating their new summer businesses. The training day included presentations and interactive learning in topics such as operations and inventory management, financial reporting, and marketing. The students were also introduced to past Summer Company graduates including Adam Hyslop ( Showboat Cleaning Services) and Rachel Barrette ( Sip De Soleil) who presented their business experience and provided tips for success. Click here to learn about the Summer Company Program for 2019. Windsor is well known as an international city, but as of June 1, 2018 it headed into outer space when Hakced VR Inc. launched the region's first combination Virtual Reality (VR) multi-player escape room and arcade, with exclusive rights to blockbuster VR escape room experience, "Cosmos." The new firm is a venture by Kingsville-based Vince and Kristin Spicer, owners of parent company MCE computing, a business-to-business web consultancy. Consumer behaviours are evolving faster than ever. And it's never been more important or more challenging for entrepreneurs to stay on top of consumer trends to better compete and grow. A BDC study identified five consumer trends that will transform the way you do business and the strategies you can use to take advantage of them. Here are some of the highlights from the study. July 24 The WindsorEssex Small Business Centre hosted an event Coffee with a Lawyer, where Ilias Kiritsis, LL.B., J.D. of Mousseau DeLuca McPherson Prince LLP Barristers and Solicitors sat down with seventeen SBC clients to discuss the basics of business law with topics such as liability in different business structures, contracts, intellectual property law, and non-disclosure agreements. BE A PART OF ONE OF THE REGION'S LARGEST SHOP LOCAL EVENTS! *Vendor space is subject to HST. Prices increase after August 31. Space is limited, and applications will be reviewed on a first-come basis. Digital Trades School has developed a solution to help both students and business owners. The goal of the program is to help post-graduate students learn in-demand digital skills in a hands-on, unique learning approach that makes them a valuable asset in today's digital economy. your current site to a more current website platform. specific targeted content to them through online ads and social media. emails to send to your email list. and you will be contacted shortly to discuss your needs. The TechBoost Program supports the growth and development of small businesses in Windsor-Essex by providing affordable training in information technology tools and products for business. We understand that running a small business is a 24/7 type of job, so spending time trying to choose the right technology solution or learning how to use a new kind of software for your company can be daunting. We want to help. Hackforge, in partnership with the WindsorEssex Small Business Centre, is offering a series of 10 different workshops in Windsor-Essex in 2018 that touch on various topics related to implementing technology into your small business. This includes tools for marketing, organization, finance, sales and productivity. Upcoming Workshop - Offered FREE of Charge! Stay tuned for new sessions coming in the fall! Don't wait! Start working with an advisor today. Learn more & apply online . APPLICATION DEADLINE FOR THE NEXT COHORT IS AUGUST 31, 2018. THE NEXT ROUND OF STARTER COMPANY WORKSHOPS WILL BE HELD SEPTEMBER 17 - 21, 2018. Wednesday, August 1, 2:00 p.m. to 3:00 p.m.
Tuesday, August 14 , 2:00 p.m. to 3:00 p.m.
Monday, August 20, 6:00 p.m. to 8:00 p.m.
Thursday, August 1, 2:30 p.m. to 6:00 p.m.
Wednesday, August 22, 5:30 p.m. to 6:30 p.m.
LiUNA! 625 Presents Buskerville is a festival that is fun for all ages, so bring the whole family. Enjoy eye-catching vendors, tasty treats, The Windsor Circus School's Busker Academy, two saucy 19+ shows at the Walkerville Brewery on Friday and Saturday night, and of course spectacular stunts put on by some of the world's most incredible and unique Buskers. Come out and support our SBC Summer Company students who will be displaying their products and services at this year's event. Please click here for more details regarding this event. For a full list of festivals taking place this summer please click here. You're unsure of how your business is doing, or how to measure the success of your business? Worried about what taxes you have to file and pay? Working with a shoebox of receipts or a painful accounting system? scaleUP Financial is a program that equips entrepreneurs with the resources to tackle their small business bookkeeping. Participants will learn financial management strategies and receive hands-on training to use Xero, a fast-growing cloud-based accounting platform. Xero is perfect for startups and growing businesses of all industries, and scaleUP entrepreneurs receive a one-year discounted Xero subscription!